Weddings are a time of joy and love, but why not show some love to the planet, too? 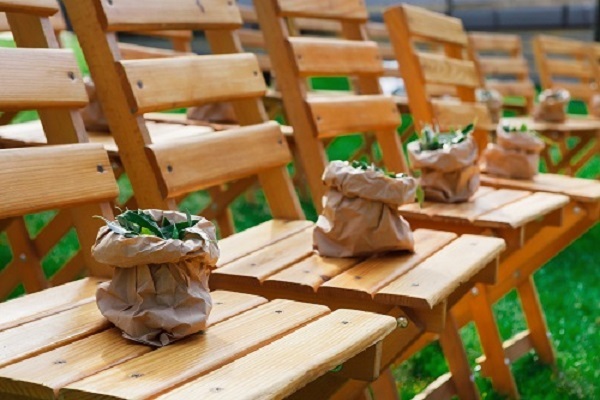 Here are five things to think about when planning an eco-friendly wedding. Flowers are a staple of wedding decor, so it's expected that you include at least a few, whether it be your bouquet, centerpieces, or miscellaneous decorations. Ask your florist about what flowers will be in season and use companies that are farm-to-table; this means that they'll cut the stems and have the flowers to you within a few days. Especially enquire about what local places will get you the freshest flowers at the best price. Also, especially with popular flowers like roses, harmful pesticides are often used, so go organic. Either talk to your florist about where you can find organic growers, or go to organicbouquets.com. Another option is using potted plants for your centerpieces. Potted orchids don't need to be thrown out after the ceremony, and they won't wilt, keeping them beautiful throughout the whole day. For the ceremony, many people are replacing sand pouring or candle lighting ceremonies with a tree planting ceremony. Make sure wherever you're holding the wedding will allow it, of course; it's doubtful a golf course or country club would appreciate you planting a tree in the middle of their property without asking first. And do your research on the tree you'd like to plant, too. Avoid invasive species at all costs, as they can often do more harm than good. For example, the Callery pear may seem like a great choice, as they are disease-resistant, can grow in diverse soil and climate types, and produce beautiful white blossoms, but they're an invasive plant that crowds out native species. Plus, they produce a smell like dead fish, so no one will be happy. Instead, find something native that will benefit and thrive in the Cape's ecosystem. Being green doesn't mean you have to sacrifice taste or make your meal vegetarian. Organic foods may be pricier, but they're generally healthier and overall much better for the environment. Try to use grass-fed, organic beef or free-range chicken, and your guests will be delighted with both the taste and your thoughtfulness. But if you don't want to go for organic, at least look for caterers that stick with local produce and farms. The food will be fresher because it won't have come from thousands of miles away, and you'll be helping the local economy. Especially go for food that's in-season; strawberries might be tasty, but having them during the winter when they wouldn't normally be growing can have hugely negative implications for the environment. For a more creative way to cut down on waste, make your serving vessels edible. Aside from traditional finger foods like mini-quiche and crab cakes, offer treats like cheesecake-stuffed apple cups or cheese-baked peppers. Serve salads in edible parmesan cheese bowls, soup in bread bowls or baby pumpkins, and fruit and mousse in chocolate bowls. One of the biggest things to go to waste at a wedding is, surprisingly, the cake. You may want to be sure that everyone has a chance to have a delicious slice of cake, so you order two sheet cakes to go with that three-tiered, vanilla/chocolate/hazelnut cake decorated with sugar roses, delicate piping, and fondant decorations, but will all of it get eaten? Ordinarily, no. There tends to be a lot of leftovers as, in the name of making sure that everyone gets a slice, the pieces tend to be cut rather small. And most people are too polite to ask for another slice out. So, either ditch the sheet cakes or tell the caterers to be generous with their slicing. Better yet, go with cupcakes. That way you'll know exactly how many "slices" you'll have, taking out the guesswork and much of the waste. You may be thinking; how can a dress be eco-friendly? Does it have to be made of hemp or burlap? Thankfully, no. The easiest solution is that you can simply re-wear someone else's dress, like your mother's. There are plenty of seamstresses that can alter it to fit your shape and style, and it's a great way to honor your mother. If your mom's dress isn't your style or isn't available, consider renting a dress or going to a consignment shop. If you've got your heart set on a new dress, fair-trade and eco-friendly designers are becoming more common. Celia Grace and Sanyukta Shrestha use organic, fair-trade fabrics. The Cotton Bride, meanwhile, makes their dresses out of 100% natural fabrics, including cotton, silk, and linen, so you don't have to sacrifice beauty and comfort for sustainability. If you do want to go the hemp route, there are designers out there who can grant your wish. There's a ton of things you can do for green wedding favors. Offer seeds or saplings that people can plant in their yards. Just keep in mind that people who are traveling might not want to risk soil in their suitcase. Also, like with the tree-planting ceremony, make sure any plants you choose won't be invasive species. Personalize them by choosing seeds native to each guest's area, and have native Cape plants available for those who'd rather do their planting while in town. For something a little prettier than packets of seeds, consider plantable seed cards. Another option is edible favors. 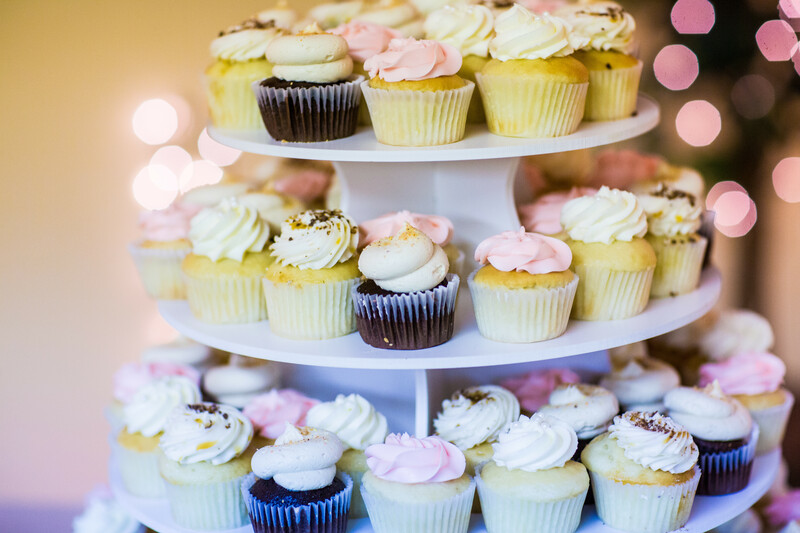 Offer cupcakes or a candy bar where people can put together their own bags of sweets. Many people end up either throwing away favors or leave them to gather dust, but if they're tasty and available at the end of the night when people might need a snack for the ride home, there's much less waste. Speaking of edible, another kind of favor is bird seed, specifically seeded cards your guests can hang in their yards for the birds to enjoy. Let's be honest, a wedding is a big party. And what's a party without decorations? But things like balloons, confetti, and plastic cups fill landfills for years and can cause massive harm if not cleaned up properly. That's why there are plenty of alternatives. Instead of throwing rice, give your guests eco-friendly wedding confetti poppers or plantable seed confetti. You can also have them throw lavender, which will leave your ceremony smelling fresh, and can be sourced from the Cape Cod Lavender Farm. Rubber balloons just sit in landfills, but certain latex balloons are completely biodegradable. Even the lighting can be greener; trade out normal lights and candles for LEDs and soy or honeycomb candles, as they burn much cleaner. Or look into solar-powered lamps for an outdoor event. If you're going for a more casual ceremony, use biodegradable, disposable cups and plates instead of plastic. VerTerra dinnerware has created plates and utensils out of fallen palm leaves and water, making them chemical-free and compostable. Make the place cards out of recycled paper, or allow your love to bloom by getting plantable ones.